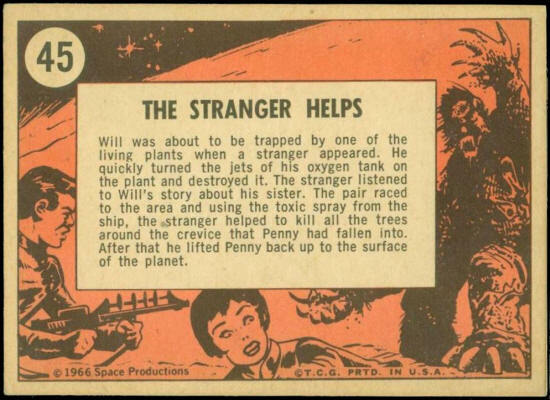 Will was about to be trapped by one of the living plants when a stranger appeared. He quickly turned the jets of his oxygen tank on the plant and destroyed it. The stranger listened to Will’ story about his sister. The pair raced to the area and using toxic spray form the ship, the stranger helped to kill all the trees around the crevice that Penny had fallen into. 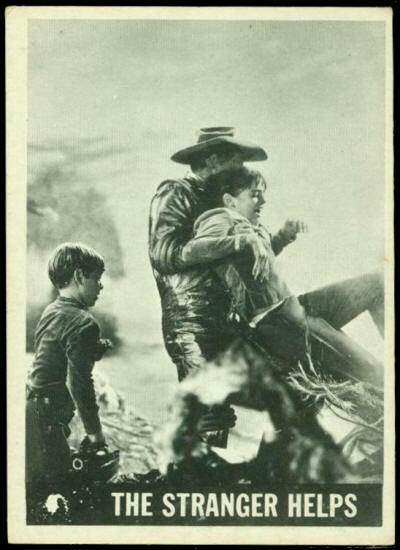 After that he lifted Penny back up to the surface of the planet.